The common man is helpless due to rising prices of petrol and diesel. On one side, it is difficult to spend the house in rising inflation, while on the other hand the prices of petrol and diesel are skyrocketing. There are some offers in this, which will give relief between petrol and diesel. Let's know about these offers. If you pay 100 or more rupees from Indian Oil or Hindustan Petroleum Petrol Pump PhonePe, then it will get a cashback of 40 rupees. However this benefit will be available only once a day. To get bumper cashback, make a payment by scanning the QR code on Indian Oil or on the petrol pump of Hindustan Petroleum. If there is no QR code on the petrol pump, then the petrol pump will send the payment request to your PhonePe app. You can take advantage of cashback by applying it. This feature of PhonePece started on September 27 on select oils of selected Indian Oil and will be applicable till December 31. What are the terms and conditions of Bumper Cashback offer? The advantage of this offer can be raised only once per day. Bumper Cashback benefits will be available only after 24 hours of payment from PhonePe to petrol pump. Bumper Cashback available in the PhonePeolite can be used for the next transaction. 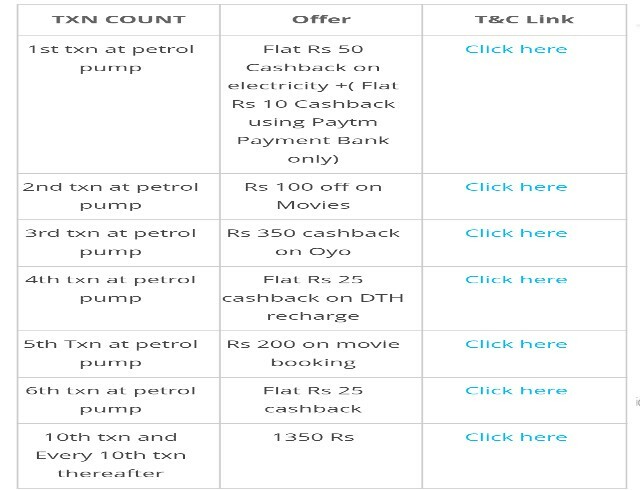 In addition to PhonePay, Paytm is still giving a captivating Bumper cashback on the purchase of petrol and diesel. 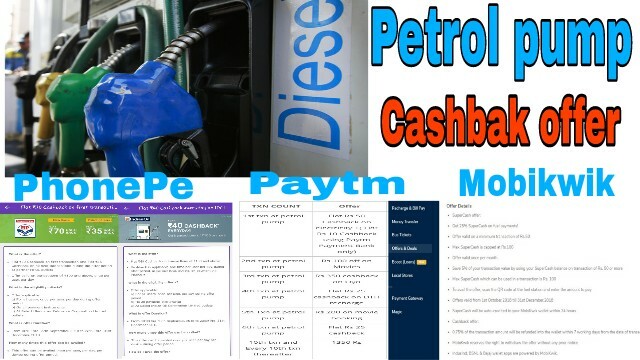 If you pay for gasoline or diesel through Pettm app on petrol pump, then you can get a cashback of Rs. 7500. This offer of PETIM is available next year ie 1 August 2019.You have to be part of this offer to take advantage of this cashback. It is a prerequisite for you to pay atleast 50 rupees on selected petrol pumps for the purchase of the fuel. If there is no QR code on the petrol pump, then the petrol pump will send the payment request to your PhonePe app. You can take advantage of cashback by applying it. 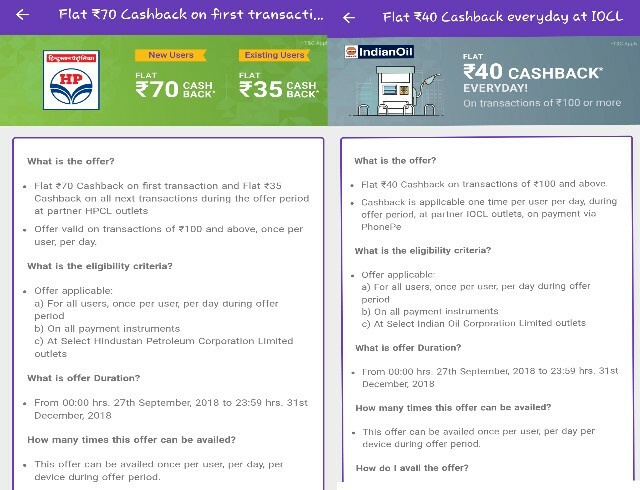 This feature of PhonePe starts on Sept-ember 27 with selected selected oils of Indian Oil and will be applicable till December 31.After this you will be able to take part in the bumper cashback scheme of PayTM's 7500 rupees. 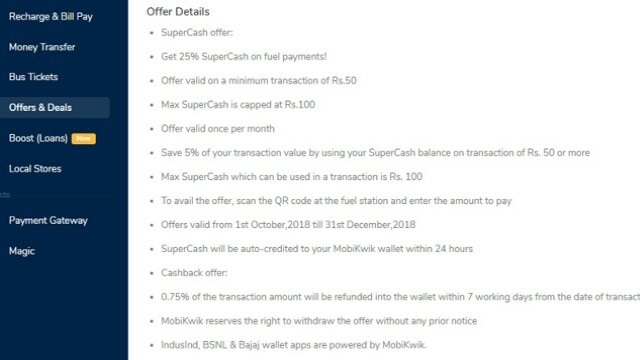 If you buy 50 rupees of petrol or diesel on petrol pumps via Mobikwik, then you can get a supercash up to 25% in a month. This offer is valid till December 31. The supercash limit in this bumper cashback offer is 100 rupees.